The exponential digitalization of services across all industries, among with the increasing amount of information that needs to be stored and processed, has made cloud computing technology one of the leading forces for digital transformation. As customer expectations are rising and competition is getting stronger, companies are looking for new ways to provide cost-effective solutions that can be stored on the cloud and accessed from any device at any time – such as Recordia, a call-recording solution that stores and analyzes interactions and office communications. The advantages of cloud computing technology has transformed it into a unique solution for supporting critical business operations and resolving challenges faced by companies. Nowadays, more and more businesses of all sizes are moving to the cloud – according to Statista, the public cloud market is expected to reach 181.4 billion US dollars this year, and all signs show that it will keep rising. Cloud computing eliminates the need for upfront investments in hardware and complex infrastructures, reducing significantly the prices both for companies and final customers. Additionally, since cloud-based solutions aggregate a huge amount of information at a single place, it is easy to achieve economies of scale that could not be reached if data was stored on physical devices or servers. Since cloud computing services run on a network of data centers, suppliers are in charge of maintaining the system and making sure that software and security updates are regularly performed. By subscribing to a cloud-based service, you don’t have to worry about maintaining a complex infrastructure yourself – instead, you can focus on growing your business and meeting the demands of your customers. Because cloud-based services are based on a virtual server that’s independent from hardware, the operating system, data and applications can be easily transferred from one data center to another without the need to recover each component separately. This not only reduces recovery times, but also allows data to be safely backed up to an offsite data center if needed. With cloud computing, disaster recovery is more cost-effective and significantly faster. Additionally, cloud-based services are characterized with a stable geographic redundancy, meaning that they are replicated in different cities around the world – which makes them practically indestructible. In comparison to traditional computing, which requires estimating and buying a predetermined capacity, cloud-based services are flexible enough to meet the changing demands of customers. If you need to scale up your cloud capacity during peak times, or scale it down when it’s no longer needed, you can do it at any time after deploying the application. One of the most powerful advantages of cloud computing as opposed to traditional methods is that you only need a smart device and an internet connection to access data independently from your location. Services based on the cloud allow users to open their work-related documents and other types of information from any device, at any point of the world. For example, Recordia is a cloud-based call recording solution with an incredible platform availability – out of 10,000 times when the system is accessed, it could be potentially unavailable only once. Another advantage of drifting away from traditional computing is that cloud services require fewer data centers to store information, which translates into less hardware infrastructure, reduced electricity use, and fewer carbon emissions. As opposed to on-premise services, cloud-based solutions are capable of maintaining incredible data consistency – at Recordia, 99.9999999% of the interactions are recorded without any lost elements. Out of 10 million conversations, only one could be potentially lost. With these reasons to shift IT resources to a cloud-based infrastructure, it is not a surprise that many businesses are already adopting this solution to perform critical operations. 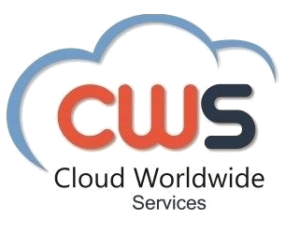 If you are looking for cloud services to increase your customer retention and meet the demands of your employees and customers, make sure to check our portfolio!